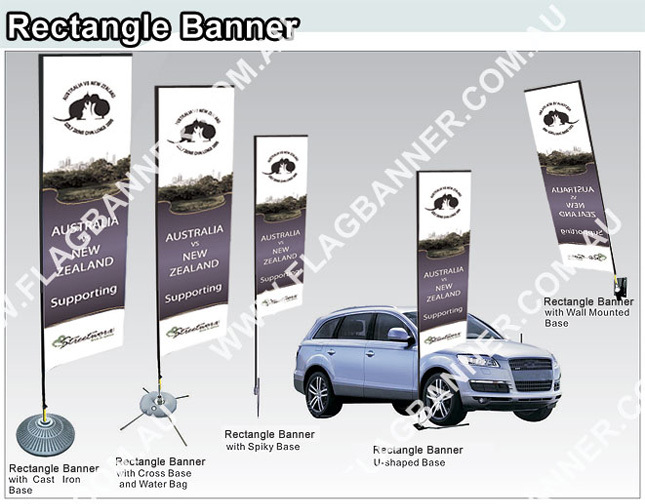 The Rectangle Flag Banners can be easily recognized through its unique surface and shape. 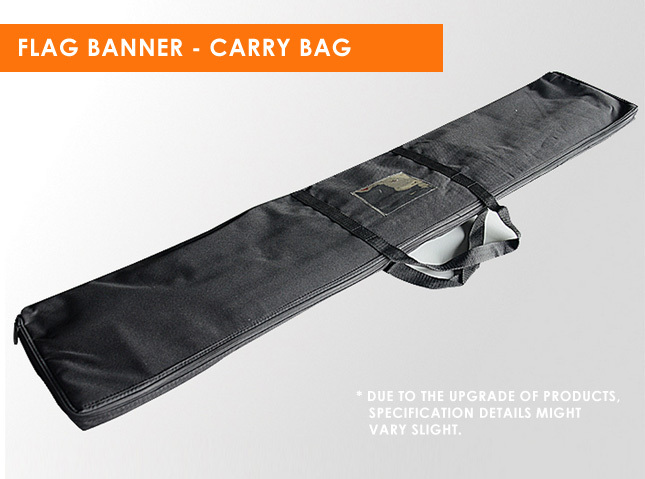 It's always visible and outstanding in any condition. 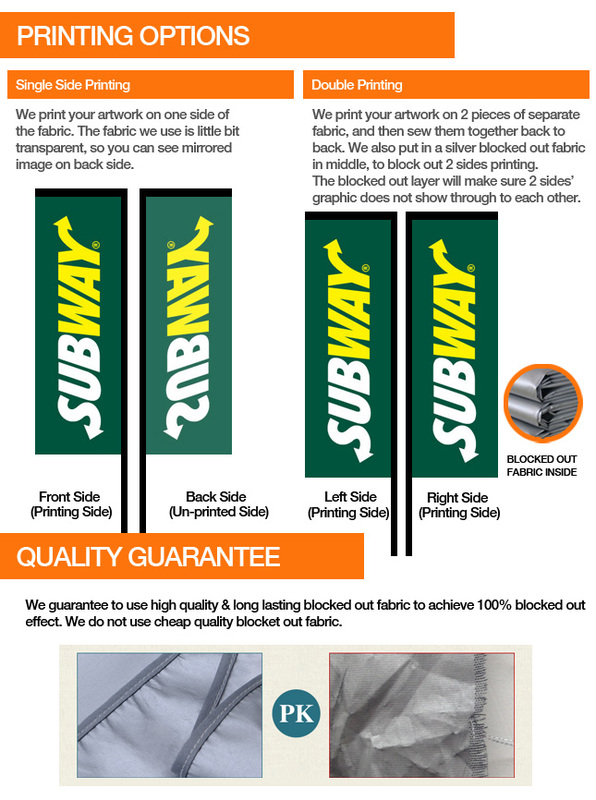 The Rectangle Flag Banners are lightweight,protable and easy to be assembled. 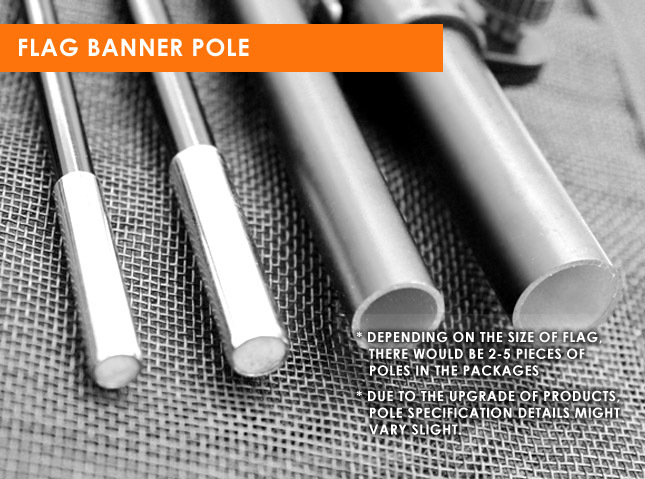 Trinodal Pole can be adjusted like fishing rods.With different base options,you are albe to use Rectangle Flag Banners in any environment conditions. 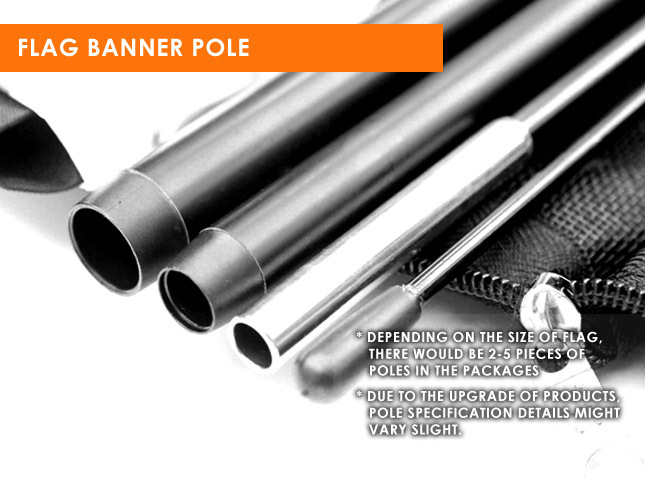 Flag Bases for Teardrop Banner Flags, Feather Banner Flags, Rectangular Bases. 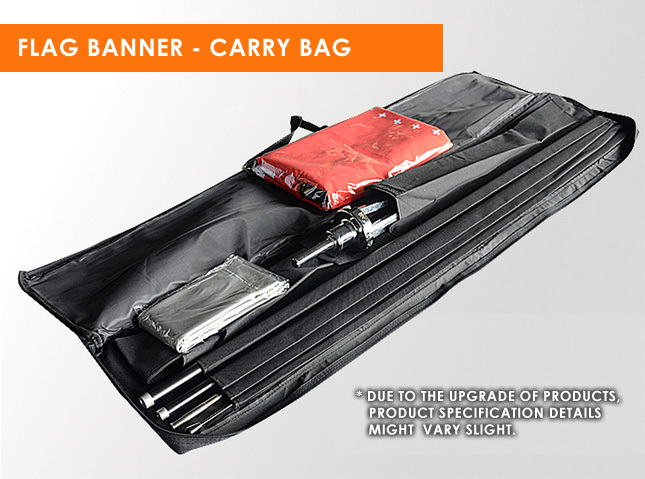 All bases are full compatible with all flag styles & sizes. Spiky Base - For Installation on grass/sand beach/soft ground. Premium Cross Base - Full Metal Cross Base For Installation on grass / concrete / timer floor / flat ground. Car Wheel Base - For Installation under car wheel. Heavy Duty Round Base - For Installation on grass / Concrete / Timber Floor / Flat Ground. 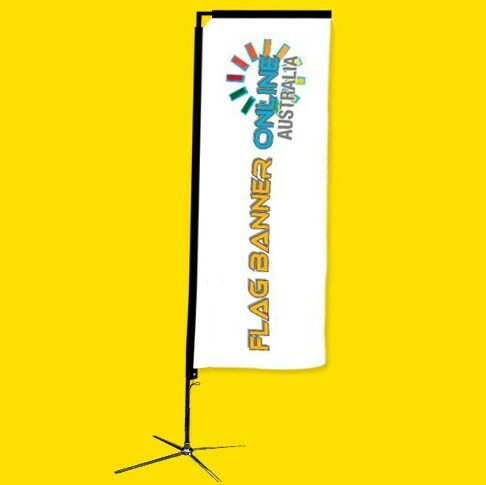 1.Place your order for the Flag Style ,Size and Flag Base . 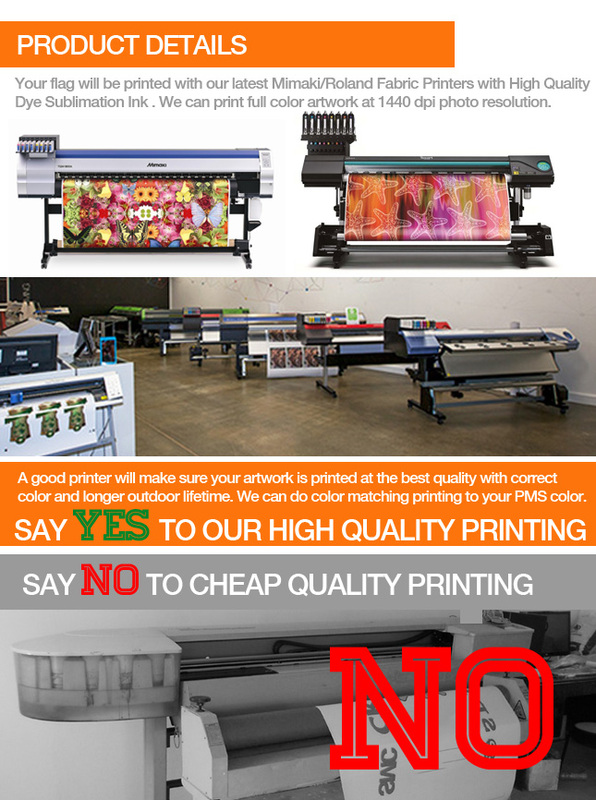 Call us on : (02) 571 22221.